The third-seeded Stags shut out the No. 2 Rams to advance to the regional final. Mullen, Tanner LaFlamme, Nason, Ethan Hammond and Emmet Schuele made penalty kicks for Cheverus before Bell’s winner. Jack Mullen scored three times for the Stags (4-1-1). Michael Nason scored once and also had an assist. 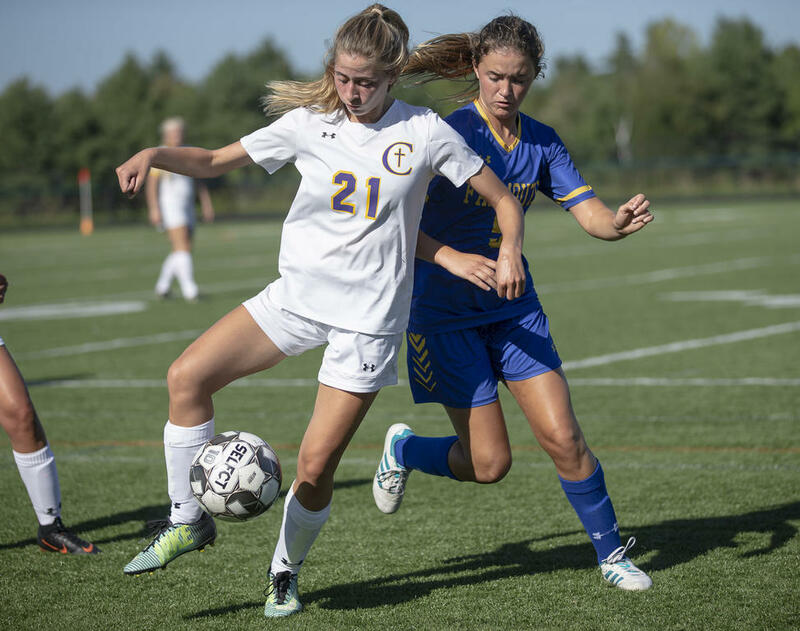 FALMOUTH—Playing without two captains, including its top scoring threat, Cheverus’ girls’ soccer team wasn’t having much luck solving the strong defense of host Falmouth Saturday afternoon. But after a scoreless first half, the Stags, playing without senior Tholia Hallett and junior speedster Emma Gallant, dug deep and took advantage of a set piece opportunity to propel themselves to a clutch road victory. Cheverus freshman Julia Kratzer races past Portland senior Delaney Darling during the teams’ early-season showdown Wednesday night. Kratzer scored one of the Stags’ three second half goals as Cheverus prevailed, 3-0. 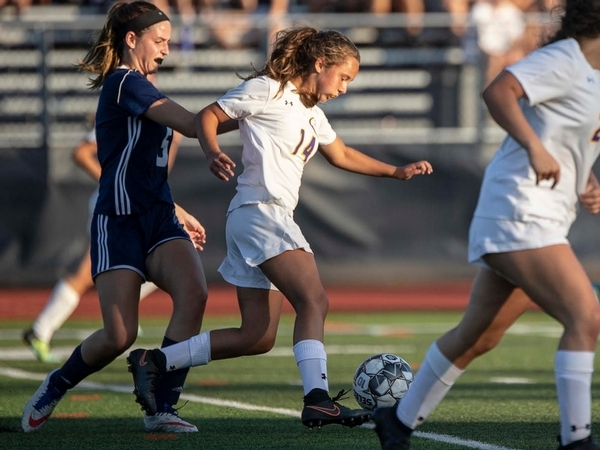 PORTLAND—Speed kills and the Cheverus girls’ soccer team has speed in abundance. 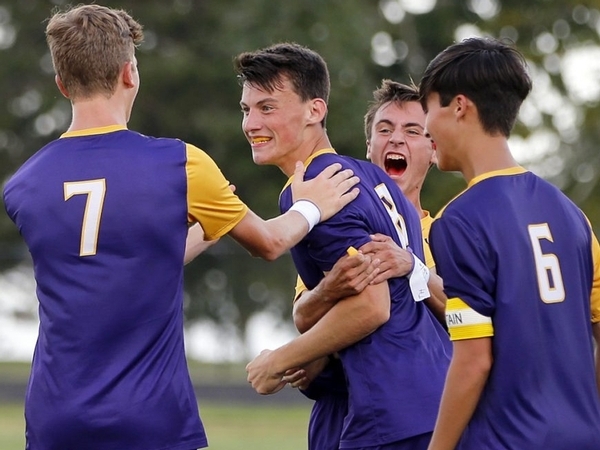 While other teams can attempt to neutralize the Stags’ attack, doing so for 80 minutes is downright impossible and Cheverus, after a frustrating first half Wednesday evening, pulled away from host Portland, beating the Bulldogs at Fitzpatrick Stadium for the first time since 2012, 3-0.